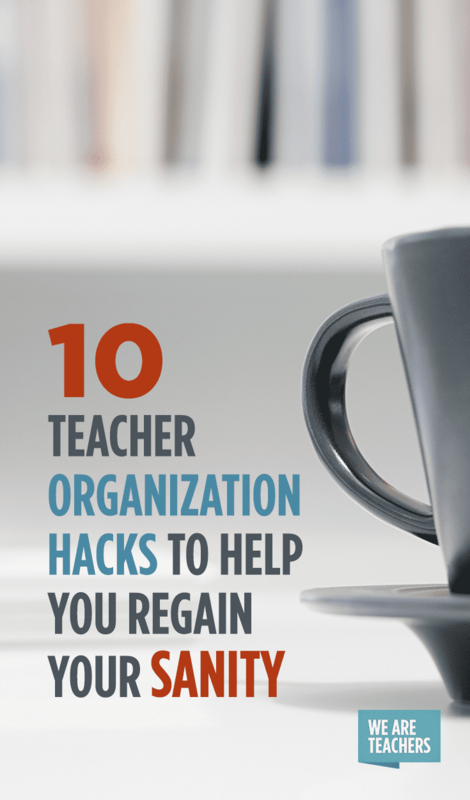 Use these organizational tips to keep stress from creeping into your classroom. My mother likes to tell the story of how, when I was 3 years old, I announced rather matter-of-factly that I was “born to organize.” Teaching is a hard job, and much of the stress involved is beyond our control. 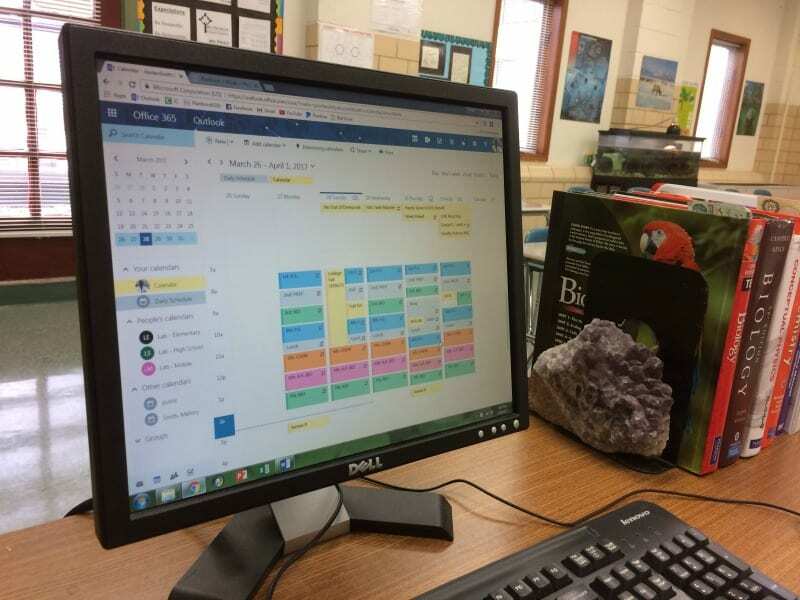 Being organized, however, is one thing that any teacher can do to reduce stress, create a more orderly classroom and ultimately be more effective at helping students learn. Here are my best organizational hacks. 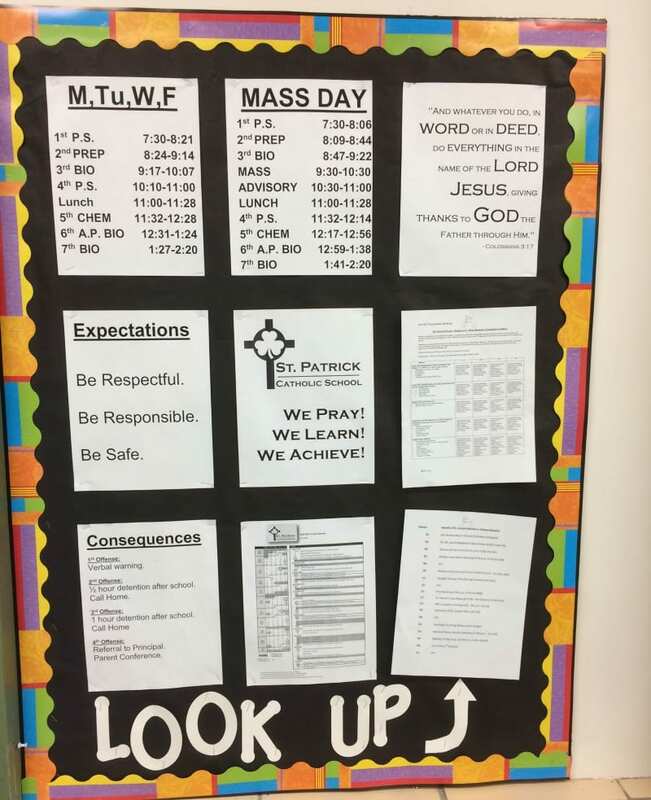 Have a dedicated bulletin board in the classroom where you post the daily schedule, school calendar, classroom rules, school discipline rubrics and other information that students routinely ask about. Tape off a grid on a section of the white board using electrical tape. 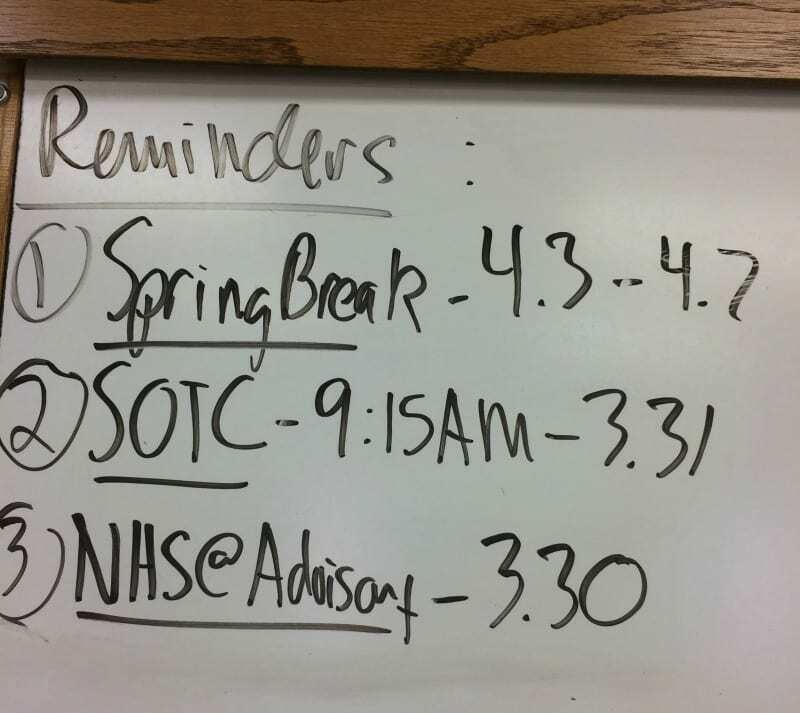 Have columns for the day’s agenda, homework, upcoming tests or deadlines, and a column for the bell ringer activity. Be sure to have a space where you write the date each day. 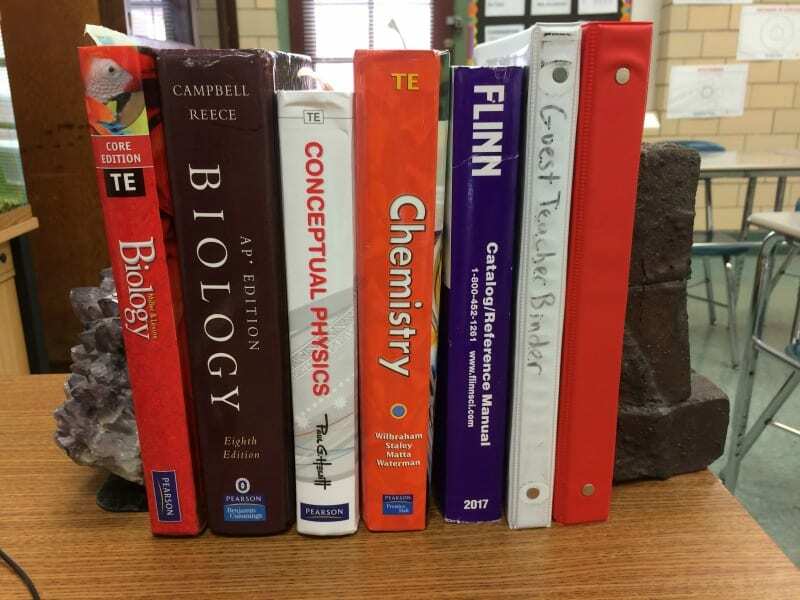 Get a binder with section dividers for each hour or course you teach. On a sheet of loose-leaf paper in each section, simply write down the date and what was done in that class that day and what work needs to be turned in. Be sure to punch holes in it and insert any handouts or other assignments. Every teacher must have this on his or her desk at all times—seriously. 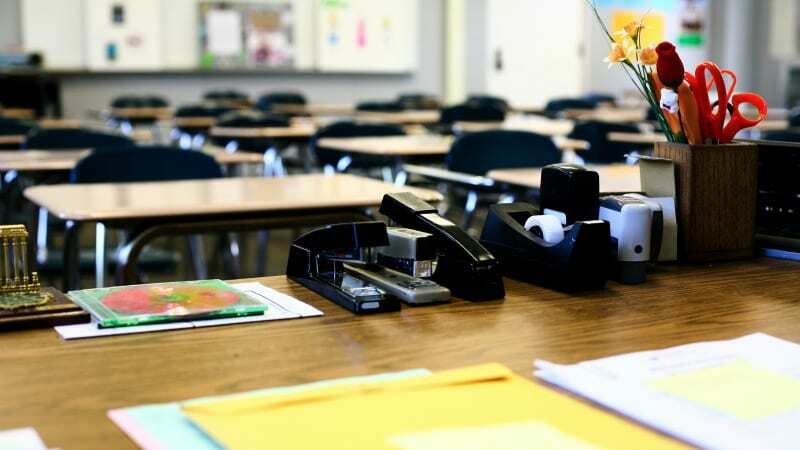 Include everything a guest teacher would possibly need to know about your class: policies and rules, schedule, which teacher to see for assistance, and the name of at least one trustworthy student in each hour. Be sure to include an emergency “I’m so sick I can’t get out of bed” lesson plan, which stands alone from any unit and could be used anytime at a moment’s notice. 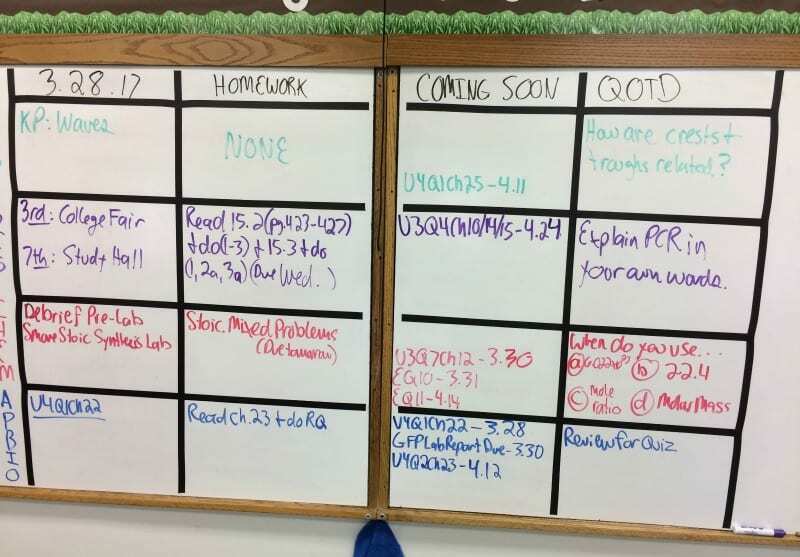 Designate a spot on your white board to write upcoming school events and do a quick rundown of the next few days’ events at the beginning of each class. 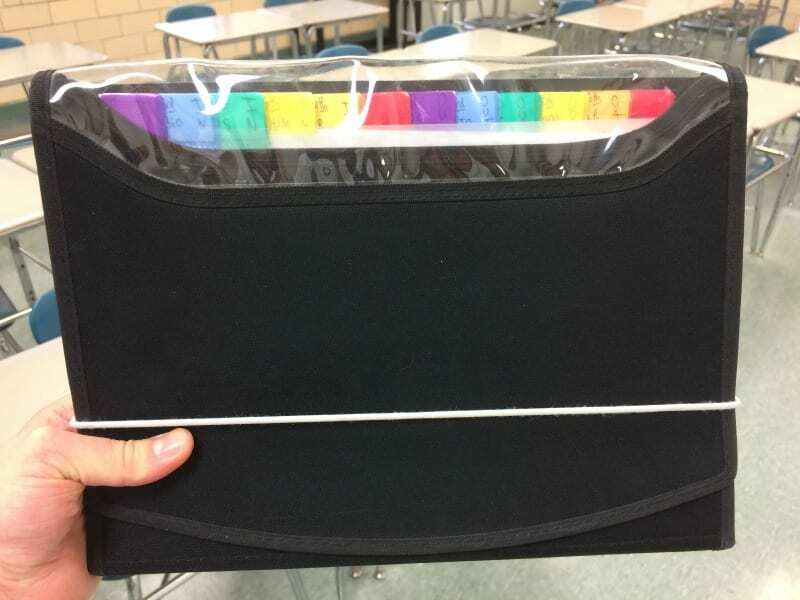 Instead of file folders and stacks on the desk to organize papers to grade, use an expandable file folder. Have an IN and an OUT file for each hour. Put papers to be graded in the IN file, and put them in the OUT file when they are graded and ready to pass back. This also makes things easy to transport if you need to take papers home to catch up on grading, and it helps prevent getting behind on grading. Collect homework at the end of a unit of study. 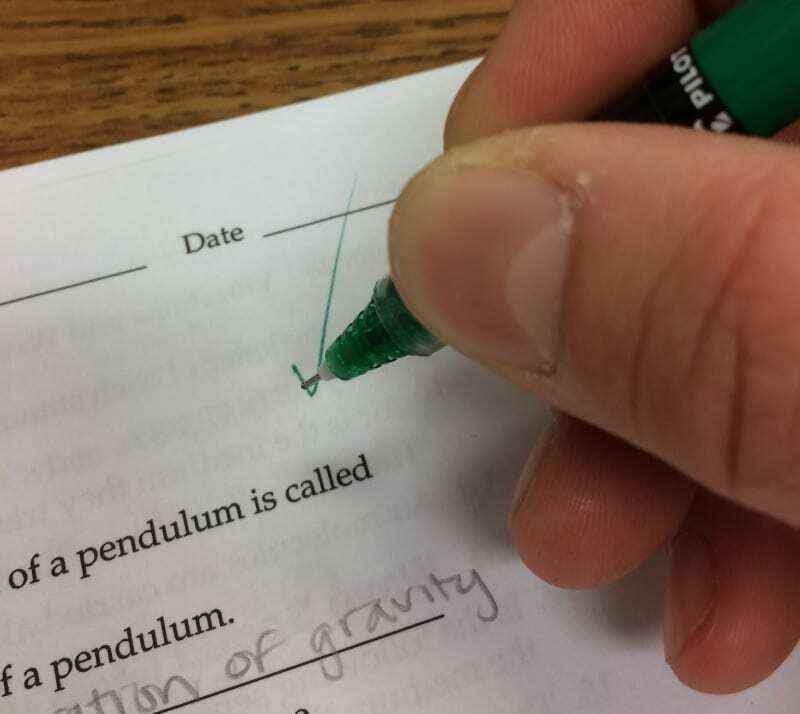 This saves paper, gives students some wiggle room to complete assignments before having to turn them in, and saves your sanity. At the end of a unit, collect a pack of homework and simply check it for completion. Keep your calendar on Outlook or your Google account and sync it to your smartphone. This way you’ll never forget that parent meeting or assembly again. 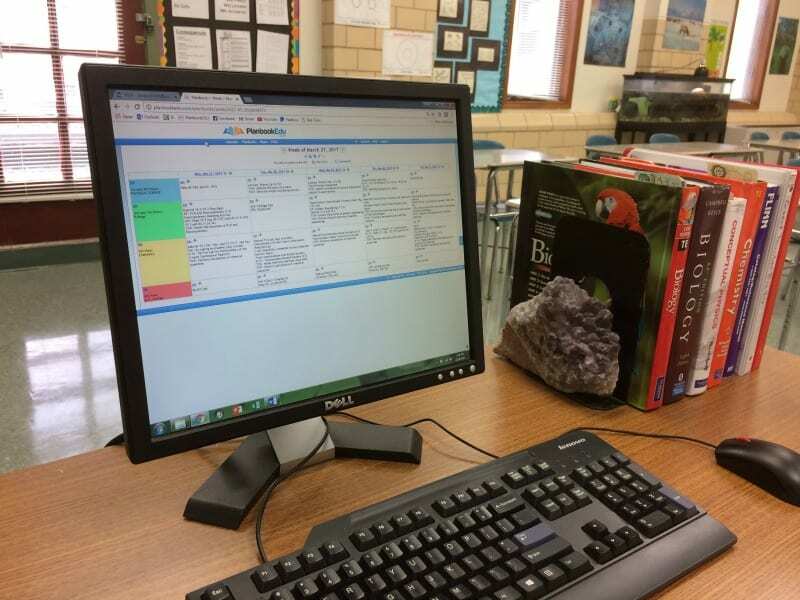 Instead of writing out lesson plan book entries by hand, try out one of the many apps or websites that bring the traditional lesson plan book into the modern era. It takes some getting used to, but it’s great for staying organized. Ditch the file cabinets! Pitch what you don’t need and scan what you do. Both Google and Microsoft have cloud storage options. You can access your files from work, home, even your smartphone. What are your favorite organizational tricks? Please share in the comments! 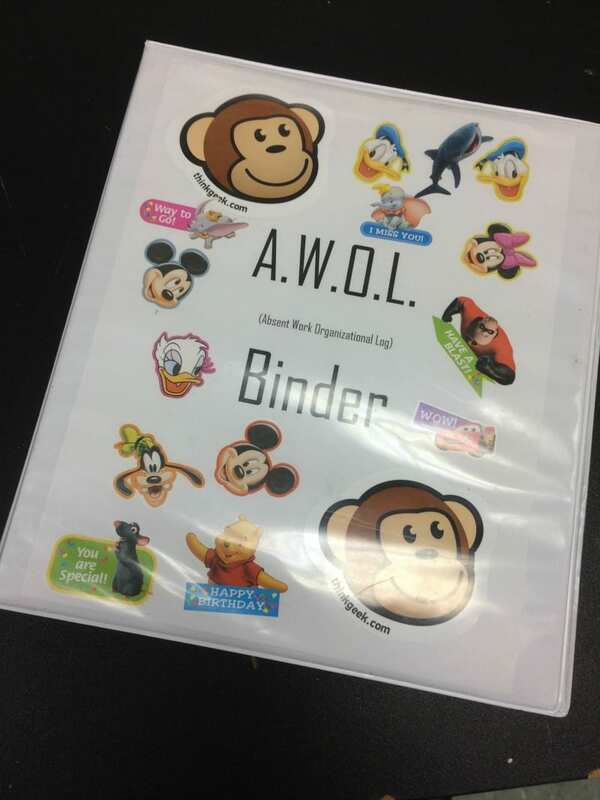 I use some of the same ideas, but my AWOL binder is a wall! I keep the sheets on the wall for the entire grading period. 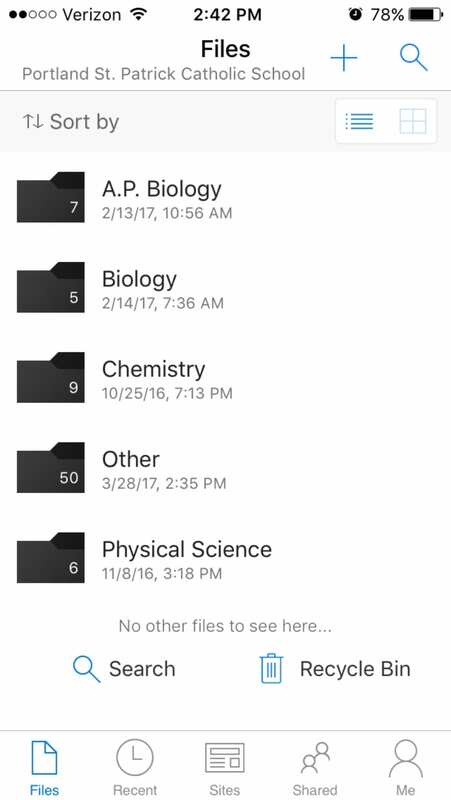 The handouts are in an adjacent folder color-coded by class. If on top of my game, I write the absent students’ names on the handouts so no one who lost work poaches one! I Almost Quit Teaching My First Year. Twenty Years In, I Love My Job. Here’s What Changed.